Stuff like this excites me. As in ‘ Oh my God! Who needs a Dior bag when you can have these? !’ kinda excitement. Few days back, while placing my usual veggie & fruit order with I Say Organic, my eyes popped at ‘Green Smoothie Basket’ and its neat little list of my fav greens.So,all one basically had to do was to order for the basket and blend the required quantity of everything in it for your glass of gorgeous health. Easy-peasy anyone? 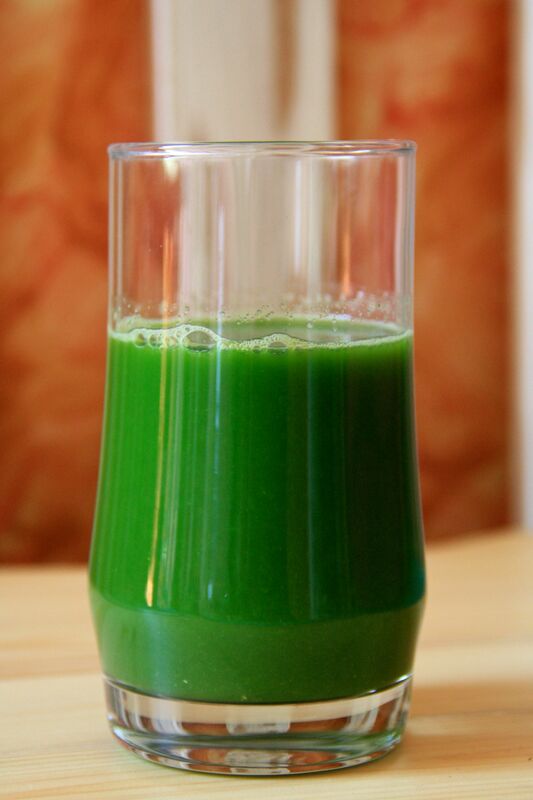 As a Green smoothie addict , I have guzzled a glassful of greens as a post-workout beverage ,for few years now. And I can swear by the boost of energy it packs in. 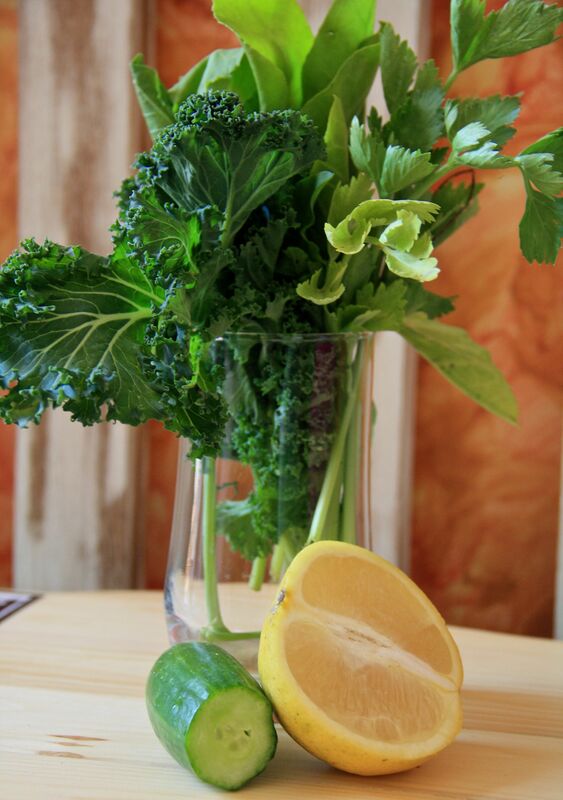 Not to say, the wonderful detoxifying effects of raw greens juice on your system. That’s talking some seriously clear skin and a gorgeous, healthy head of hair. So, without further ado, here’s a green little review on I Say Organic’s Green Smoothie Basket ( though it doesn’t really arrive as a basket)! Packaging The greens come wrapped in brown paper, neatly segregated, along with a Cucumber & Kinnow – all placed in a bio-degradable plastic bag (as mentioned on the packaging). I loved the convenience of the whole experience. 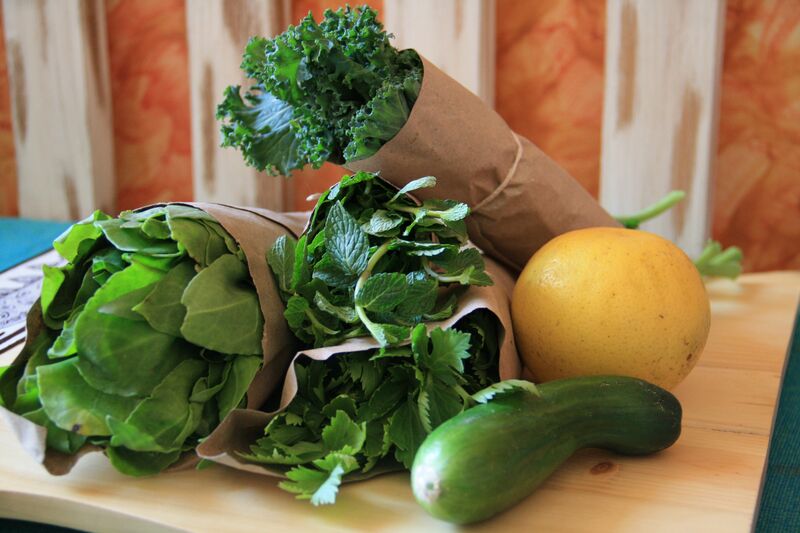 Each pack contains 100 gm Cucumber + 200 gm Spinach + 100 gm Kale + 50 gm Celery + 50 gm Mint + 1 pc Kinnow. You also have the option of adding Broccoli & Ginger to the list. That’s enough quantity of greens to make a few glasses! I reckon one basket of greens will last 3 servings ( you will need to replenish the Cucumber & Kinnow though). Here’s my take on the Green Smoothie (Green Smoothies are very adaptable to additions and dilutions, depending on taste preferences). 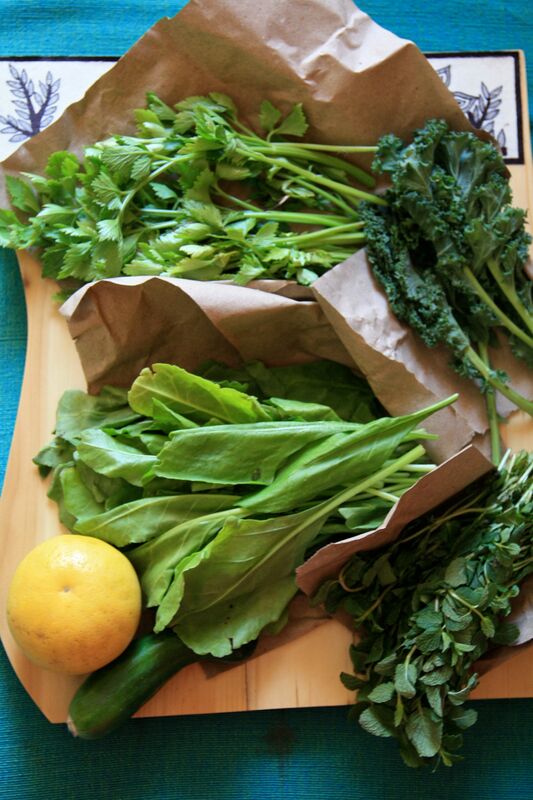 The idea is to get some nice organic , raw greens into your body. Tip : In case you like your drink a bit sweeter, add a small Apple or Banana or a spoon of Honey or Maple Syrup! 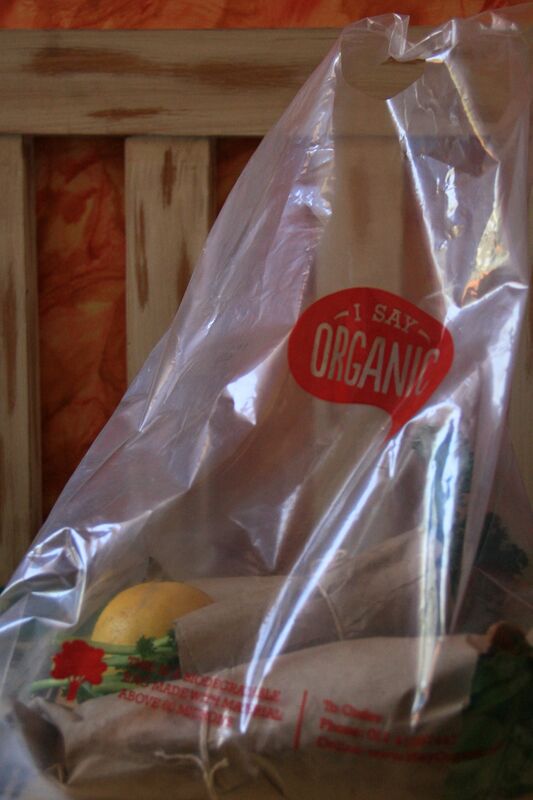 ‘I Say Organic’ does require one to place a minimum order of veggies, fruits etc , to get the smoothie basket delivered. For more details on their delivery schedules, ordering process (options of online or via phone) and their wonderful organic offerings , take a look at I Say organic. 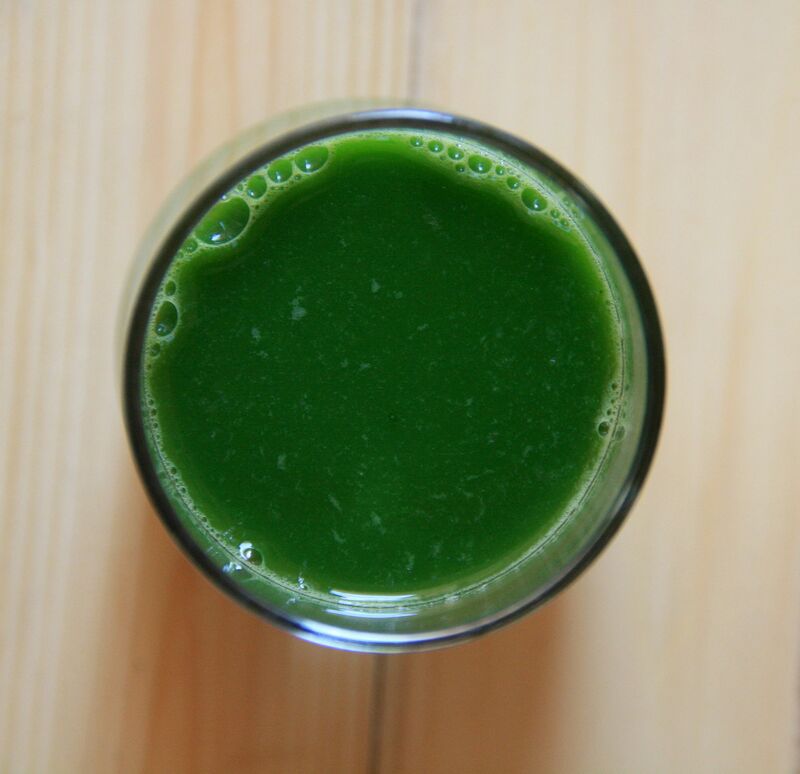 Have you tried a Green Smoothie earlier? What’s your favorite blend? Where can I order and what is the minimum? Hi,there’s a link to I Say Organic’s website in the post above on which you can click to visit their website. You will need to create an account to place an order or you can also place an order at their number 01141087448.The minimum order is Rs.500.Hope this helps! Hey there, You’ve done a fantastic job. I will definitely digg it and personally recommend to my friends. I’m sure they’ll be benefited from this site. Wow the recipe looks very potent! Lovely! FarmerUncle is an Online Farmer’s Market which helps farmers from across the country to sell their produce directly to the end-consumers in the city. The growing customer base ensures that the farmers have a concentrated customer base to whom they can offer their produce. The direct interaction that the platform helps farmers to explain more about their produce, their practices and expected harvest date and procures orders for the same. FarmerUncle gives farmers the ability to set a price for their produce and also decide on minimum order quantity. In turn, the farmer commands 70-80% of the retail price paid by the customer.